They said it was a slum and all the lies you can imagine. From an insider’s perspective we were targeted, something to be got rid of. 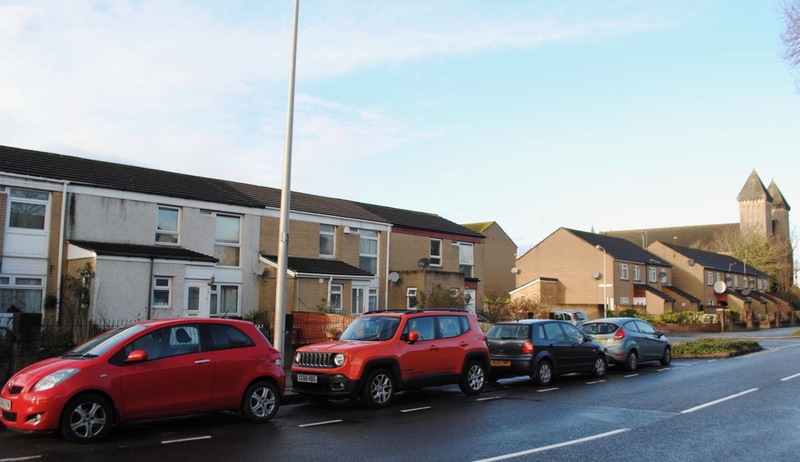 Rather than renovate housing in stages as they’d done in neighbouring Grangetown for instance, they wanted us gone and one way to do that was to knock it all down…It was a tragedy. Bute Street runs, almost as straight as a crane boom, from the centre of Cardiff down through what was once Tiger Bay. As a place, a community, an idea, Tiger Bay is no more, demolished, socially cleansed, and rebranded out of existence. Only myth, memory and a few grand buildings remain. Once, before the docks and the heavy industries that made them, there was a small village on the River Taff called Cardiff, little more than a precinct of the castle that the Normans had built. It was John Crichton-Stuart, 2nd Marquess of Bute (1793–1848), who led the transformation of Cardiff into one of Britain’s largest ports and the capital of a nation. Bute owned Cardiff Castle and the surrounding land, but more importantly, he owned large tracts of land over the South Wales Coalfield. Bute was an energetic and hardworking man, rejecting the traditional aristocratic pursuits in favour of industrial and urban development. The coal and iron from Bute’s lands was brought to Cardiff by canal and then loaded onto ships for export to other parts of Britain and overseas. By 1820 it was clear that the existing dock facilities, little more than a couple of quays, were too limited for the ever-increasing output. Bute and his managers drew up plans for a new system of docks and the first of these opened in 1839. The docks grew in tandem with the iron and coal industries and by 1900 Cardiff was one of the biggest and busiest ports in the world. As Cardiff expanded, so did the population of the docklands area. 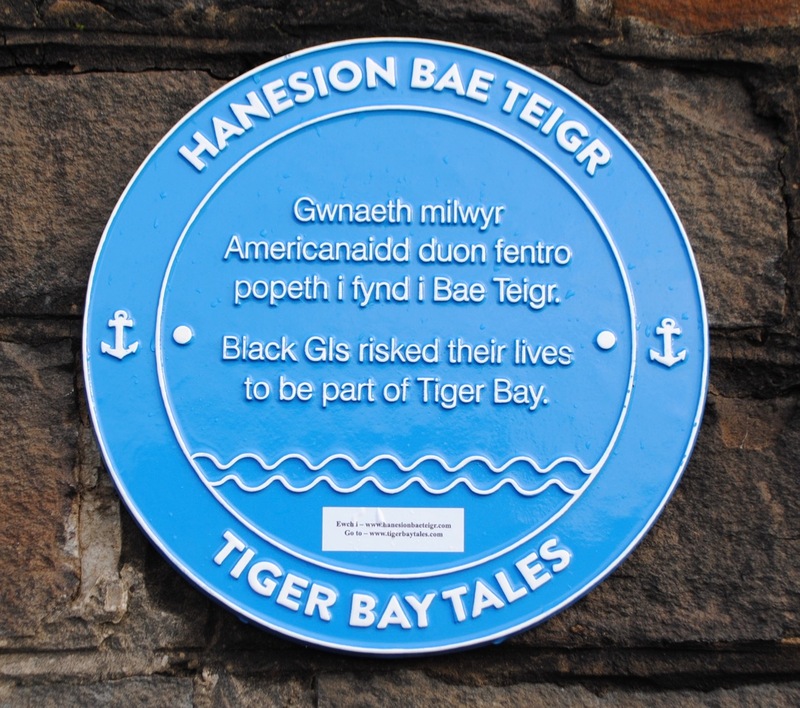 The origins of the name ‘Tiger Bay’ are uncertain but it is thought to be a reference to the fierce currents of the Bristol Channel, through which Cardiff’s shipping had to pass. It soon became the name of the docklands district too, displacing the official name of Butetown. 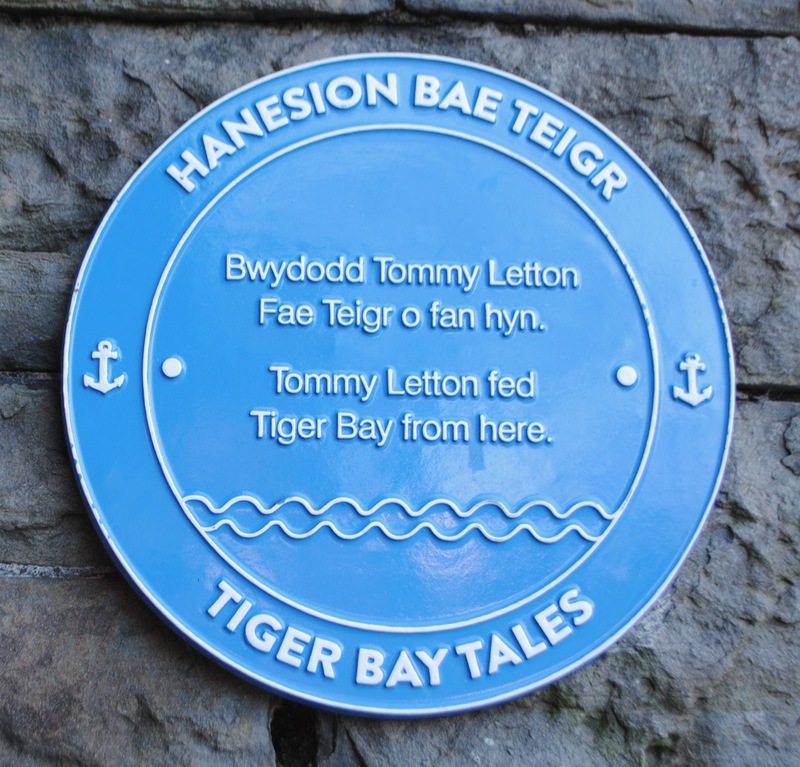 From its early days through to the 1950s there were many stories told about Tiger Bay. One, that it was a wild, lawless place, full of pubs and shebeens, gambling dens and whore houses, thievery and violence. Another, that, as one of Britain’s most ethically diverse areas, it was a place of multicultural harmony, solidarity and tolerance. And another, that it was a tightly knit working-class community, held together by tough Welsh matriarchs, who minded the children and the hearth while the men, most of them foreign, went to sea. Doubtless, all the stories had some truth, some slander, and some romance in them. The long decline of the Cardiff docks began in the 1930s and accelerated through the 1950s. The iron and coal industries that had made work for tens of thousands now employed a few thousand and eventually a few hundred. By the 1960s the decay and dereliction of Tiger Bay was a shame on the city. One can romanticise the people and the community but the housing conditions were slum-like. The city council decided to send in the wrecking balls and the bulldozers. A systematic demolition of streets and houses was carried out, destroying many fine, if shabby, Victorian buildings. Families were moved out and rehoused in other parts of the city. It was a classic tale of urban ‘redevelopment’, for which, read ‘state-sanctioned vandalism’, and the destruction of Tiger Bay was particularly brutal and uncompromising. Only a few of the grander terraces and listed buildings like the Pierhead and the Coal Exchange were spared. The tower blocks that replaced the old housing were like tower blocks everywhere, with the failings of tower blocks everywhere. 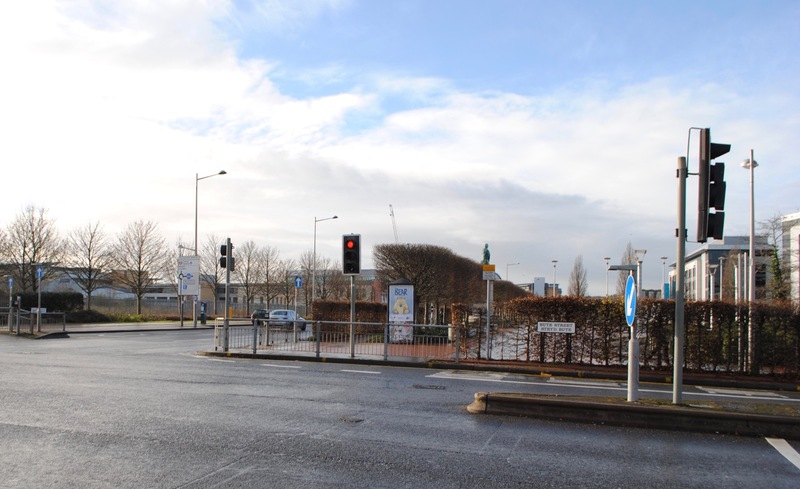 In 1987, following a similar path to London’s docklands, the Cardiff Bay Development Corporation was created to regenerate the area. The approach of the 1960s was seen to have failed. More demolition and more building, some for the better, has followed. The Senedd (which houses the Welsh National Assembly) and the Millennium Centre now dominate the waterfront. 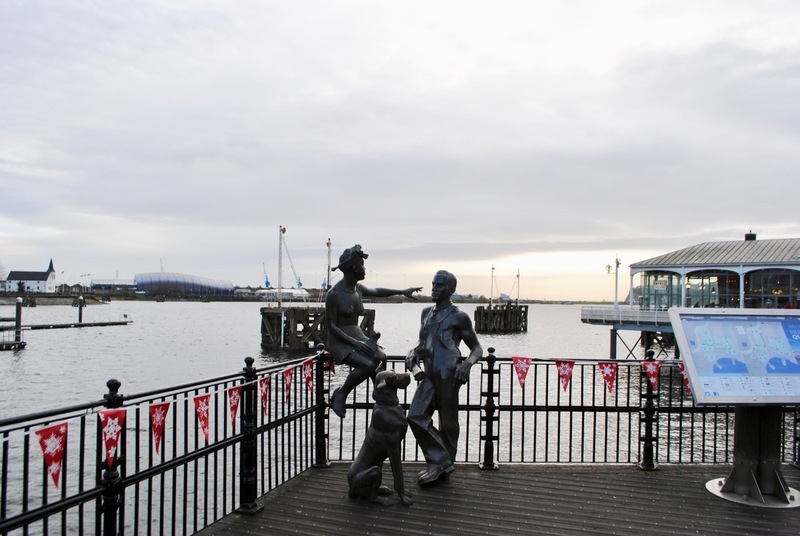 It is the rebranded Cardiff Bay that represents confident, twenty-first century Cardiff. Thirty years on from the birth of the CBDC, I took a walk down Bute Street to see if I could find any traces of the old Tiger Bay. The top of Bute Street, close to the city centre, would once have been a place of tightly packed houses, shops and pubs. Regeneration has brought open vistas and cleaner air, but also a sense of absence and emptiness. In 1958 the film director J Lee Thompson came to Cardiff with his crew and the stars John Mills and Horst Buchholz, to shoot the crime movie Tiger Bay. The 12-year-old Hayley Mills made her acting debut in this film. Many locals were hired as extras, and Neil Sinclair, the local historian I quoted at the top of this post, had a small speaking part. The parts of the film shot in Tiger Bay itself contain some of the last moving images of the area and its people pre-demolition. Tiger Bay is now of more interest as a documentary than a thriller. 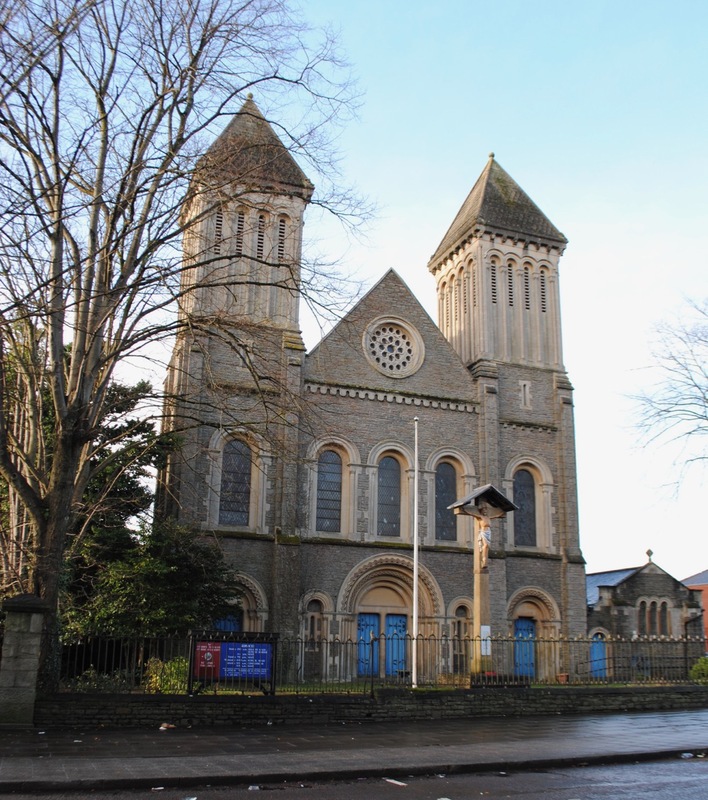 One of the few buildings featured that has survived is the Church of St Mary and St Stephen on Bute Street. Contrary to legend, Shirley Bassey wasn’t born in Tiger Bay but in the less evocatively named Splott district of Cardiff. However, her family moved to Bute Street when she was young and she was raised there. In the early years of her career she would come back to Tiger Bay to visit her mum. That terrace of houses has gone with all the others. I found these plaques at a couple of locations along Bute Street. At the time they seem a half-hearted attempt at local history, and the ‘Tiger Bay Tales’ they told were obscure. I found out afterwards that they were put up as signposts for a audio-tour app. I’ll try it next time I’m in Cardiff. At the heart of the old Tiger Bay was Loudon Square. It was lined with impressive three-storey houses, built for the senior employees of the dock and shipping companies. As these men and their families moved out to the suburbs, the buildings became cramped, rundown lodging houses. Loudon Square was completely demolished during the 196os erasure and a couple of tower blocks rose in its place. 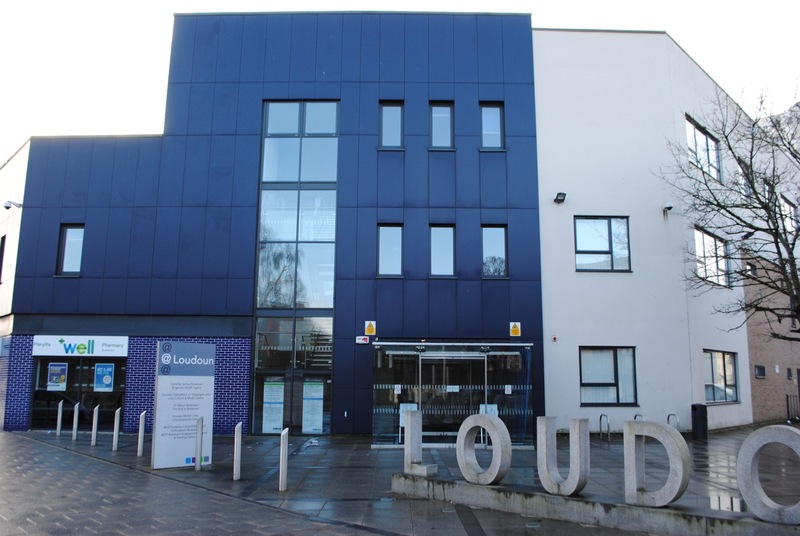 The regeneration project brought the building above, unfortunately lumbered with the on-trend-for-an-instant name of @Loudon, which houses a GP practice, council services and ‘enterprise units’, another name, I think, for low-rent office space. Several scenes in Tiger Bay take place in Loudon Square, a vanished world captured on black and white film. 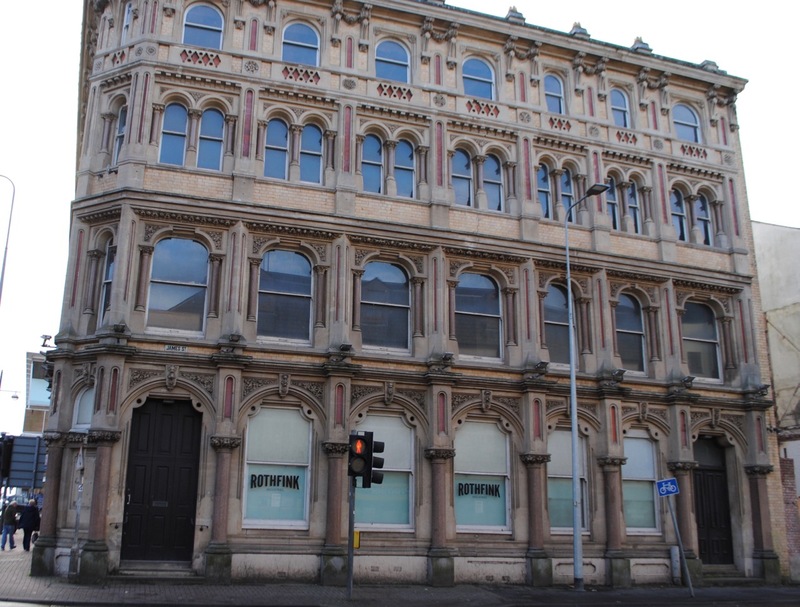 A survivor, Cory’s Building was constructed in 1889 for Cory Brothers & Co, colliery owners and ships’ chandlers. It is now being converted into apartments. 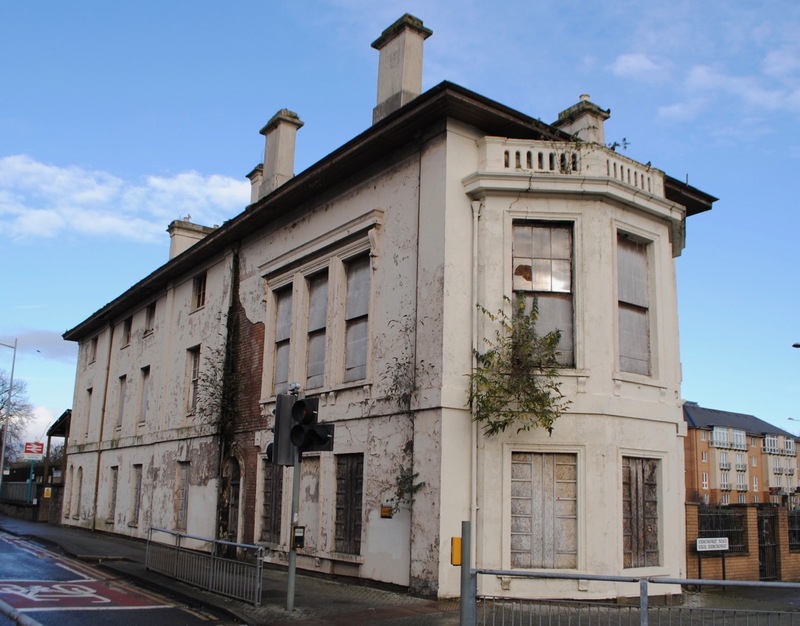 This building attached to Butetown railway station has survived and should look quite impressive when it’s spruced up. Another survivor: the old Midland Bank building, at one time the largest branch of the bank outside London. A reminder that there was yet another Tiger Bay, closer to the waterfront and the docks, a Tiger Bay of commerce and astounding wealth. 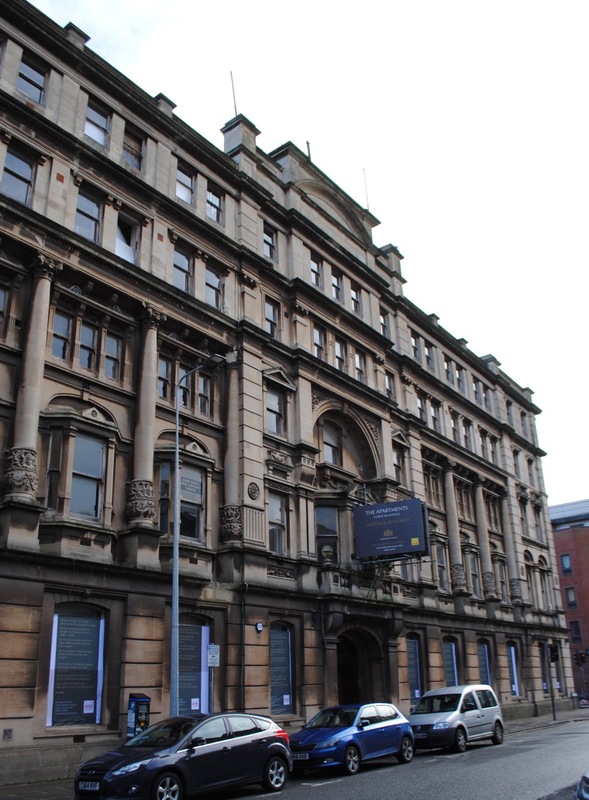 In the nearby Coal Exchange the world’s first million pound cheque was written to seal a deal. 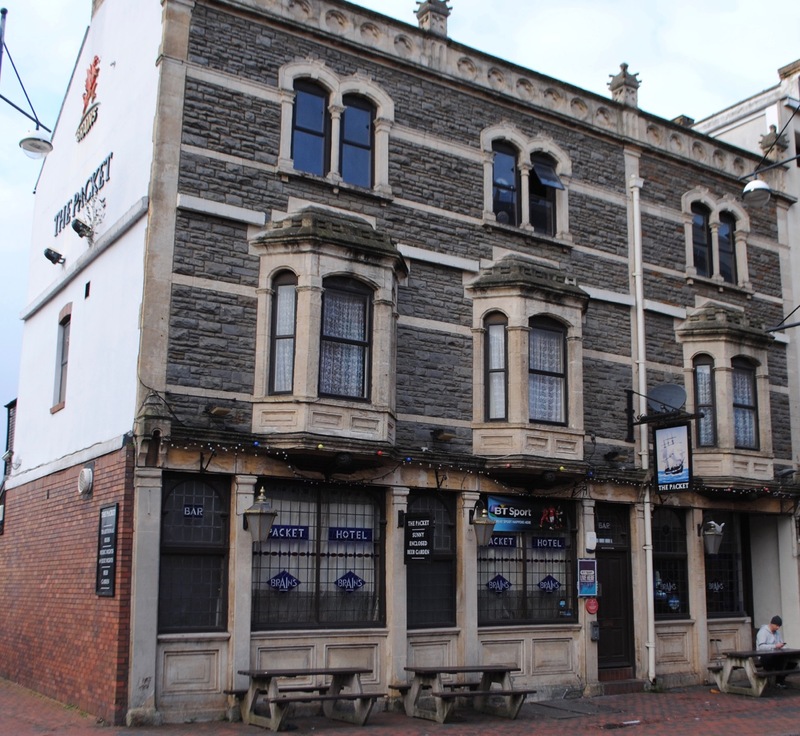 According to some accounts there were 97 pubs in the old Tiger Bay. The Packet is the only one of these that survives. It contains a faint echo of the old drinking culture: noisy and warm, bare tables and chairs, and certainly no food. 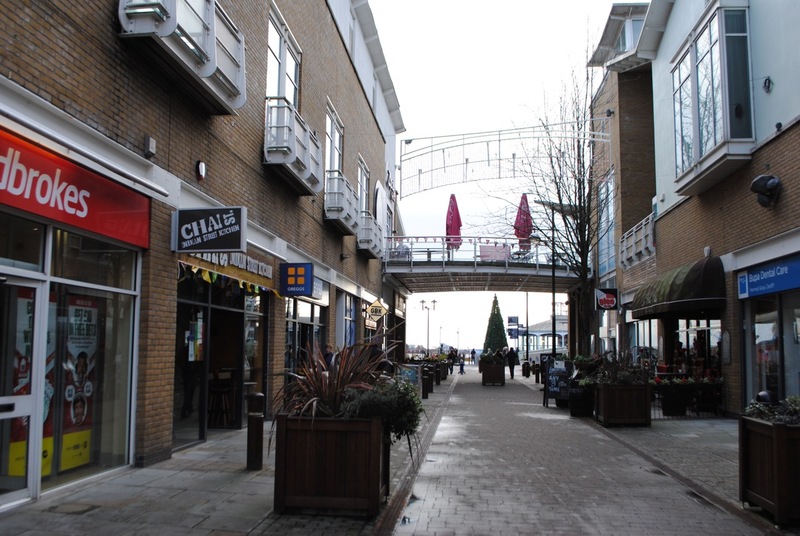 Close to the bay is the retail-leisure complex of Mermaid Quay. It would be easy to scoff and scorn, but regeneration needs investment and jobs – so I won’t. Does it all have to be so dull and predictable though? The usual retail and restaurant chains predominate. I guess they can afford the rents. Having said that, I don’t recall seeing a Greggs and a Ladbrokes at Canary Wharf or Albert Dock. The sculpture Pobl Fel Ni (People Like Us) by John Clinch stands on the boardwalk. The big ships that plied these waters have disappeared; the Cardiff Bay Barrage has stopped the tides; the view is more tranquil than it has been for centuries. PS The opening quote from Neil Sinclair is pinched from the BBC News article ‘Rise of towers and fall of Tiger Bay‘. Neil was born and bred in the old Tiger Bay and knows as much about it as anyone. He now lives in one of the tower blocks that replaced Loudon Square. Videos of a history walk by Neil from the 1990s is also available on Youtube.